Beautiful luxury bath towels. 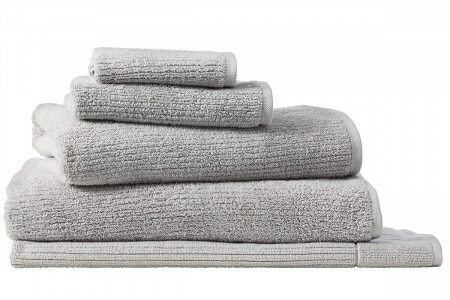 Sheridan offer four luxurious towel ranges to choose from. Buy Face Washers, Hand Towels, Bath Towels, Bath Sheets and Bath Mats. Featuring only the very best in quality weaves and textures, our famous bath towels, face washers, hand towels and bath sheets are crafted using premium quality materials which include rich Turkish cotton and world renowned quality Egyptian cottons. Providing for only the very best in a soft, thick bath towel, our range is designed to offer rich absorbency which guarantees long lasting luxury for everyday use. 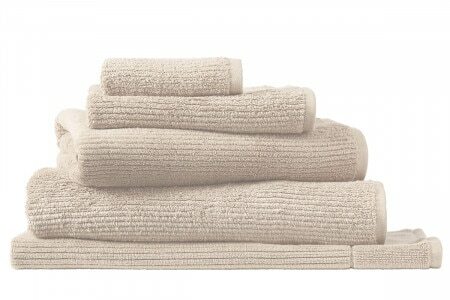 Available within a matching set, you could outfit your entire bathroom within a single bath towel range such as our Luxury Retreat Towel range, including everything from bath mat through to face washer. Beautifully soft, this collection will transform the bathroom into a sanctuary. With the finest Turkish cotton, renowned for its superior absorbency and softness, this towel is crafted for long lasting luxury. The Luxury Egyptian towel range spoils the senses, with the softness and instant absorbency of its combed ring-spun Egyptian cotton yarns. Beautifully finished with a classic border and a palette of a dozen colours, the range will complement any bathroom. Alternatively, the Living Textures range features a clever ribbed design allowing the towel to capture moisture faster and is available in a rich range of fabulous neutral tones or bold, vibrant colours for lifting the mood and atmosphere of your bathroom. Mix and match your preferred Sheridan products and colours from throughout our bath towel range for a burst of creative decorating while ensuring you find the perfect combination of texture, weight, thickness and softness which comfortably caters for everyone in the family. A complete towel set makes for the perfect wedding, anniversary or engagement gift. Our services also include a personalising option for your towel collection allowing you to add embroidered names or initials on your purchased products and gift a keepsake that will remain remembered and cherished for years to come.